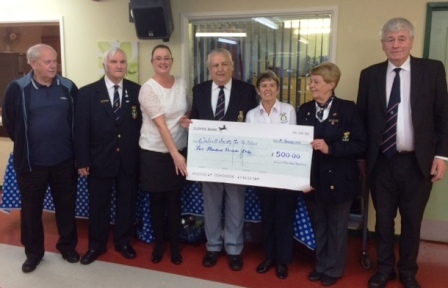 Cheque presentation from the Bloxwich R.N.A. Branch to Chief Executive Officer of the Society, Amanda Reed. The event raised £500.00 in support of our work and we would like to say thank you to everyone who helped organise the event, purchased tickets and gave their support. We are extremely proud of our association with the R.N.A. and thank them for their support and for choosing us as their local Charity.